Game of Thrones as of late, has been a worldwide television phenomenon, having had everyone in the world sit thrillingly in front of their TVs once a week to watch the HBO show, for 7 seasons running. After a year’s sabbatical, they have decided to launch the 8th and epic final season this upcoming April, and they have really succeeded in making the very most of it, by making some high profile business partnerships to sell merchandise and memorabilia, in celebrating the thrilling finale. Adidas have launched a line of Ultraboost sneakers inspired by each of the noble houses of Westeros, Moleskine with a line of notebooks, Condé Nast with travel destination guides based on where the films were shot, and our favorite, Diageo releasing a blend and eight single malt whiskies. The aptly named blend is called “White Walker” by Johnnie Walker, based on the frozen undead army that is seemingly impossible to overcome, and the single malt whiskies from Dalwhinnie, Clynelish, Talisker, Singleton of Glendullan, Lagavulin, Royal Lochnagar, and Cardhu representing the 7 houses, Stark, Tyrell, Greyjoy, Tully, Lannister, Baratheon and Targaryen, while Oban represents The Night’s Watch, a military brotherhood dedicated to protecting the realms of men. Unfortunately for us Indonesians, the White Walker by Johnnie Walker is the only one that will be hitting our shores officially, meaning that the rest of the collection would not be readily available in the Indonesian fans of the show and whisky drinkers alike. That means, the only way to taste any of them would be to acquire them overseas. 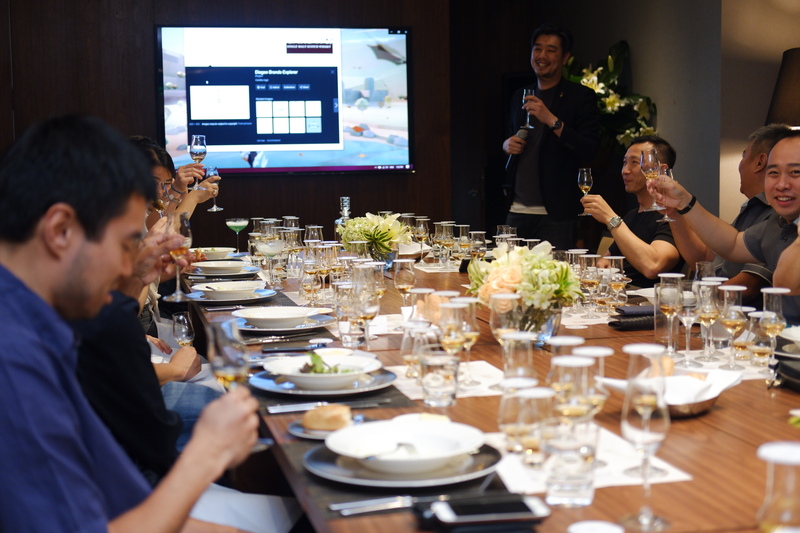 Which led to the Indonesia Whisky Research Society holding one of its most ambitious tastings yet: All 8 of Game of Thrones’ Single Malt whiskies over a 4 course dinner at The Grand Hyatt Jakarta’s Residence On 5. As they walked in, guests were greeted by the map of Westeros, with the bottles of single malt whisky placed in their respective positions, and the Game of Thrones theme blaring throughout the hall. 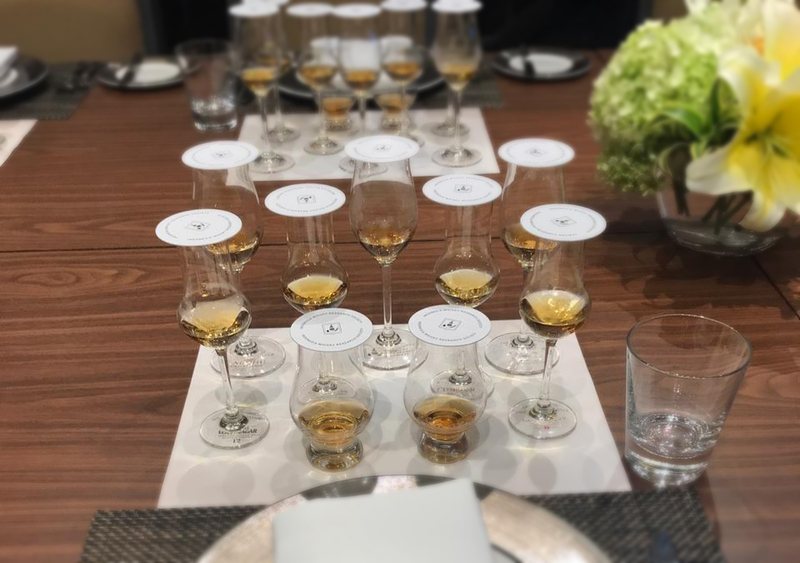 As they took their seats, participants were puzzled by 1 additional glass in the middle of the tasting mat, instead of the 8 single malts they were expecting. It has no name, only bearing the crest of IWRS. The first dram of the night was a mysterious one, and we all locked in a discussion to decipher the source of this mystery dram. 8 Game of Thrones drams… and a mystery dram! A good amount of guests enjoyed this dram, and a brief discussion followed – some suggested this was a Glenfarclas, a Macallan or even an Aberlour, none of which were correct, but close. 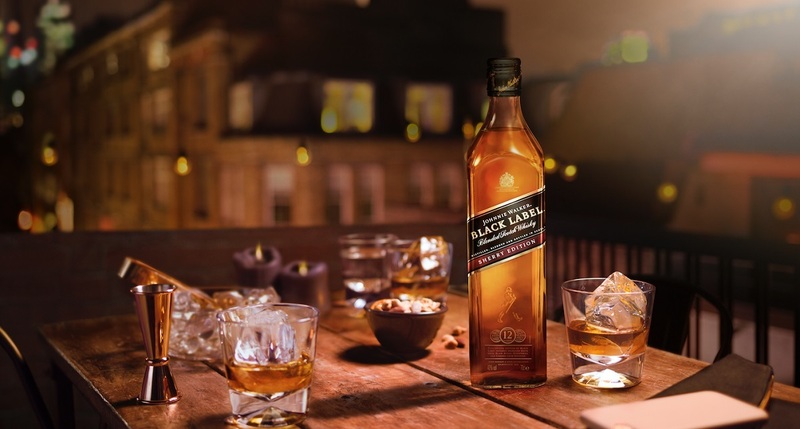 At the end of the night, the mystery dram was revealed to be the soon to be released Johnnie Walker Black Label Sherry Cask, the sherry influence is there, with just a tiny touch of smoke and a great silky mouthfeel. One winner of the best Instagram post of the night even walked away with a prize bottle of the Black Label Sherry Cask. As the night progressed, we start delving into the Game of Thrones single malts, along with an explanation and history of each distillery, the notes, and how they are each connected to the houses they each represent, explained by our resident Game of Thrones fanatic, Jessica. The order of the night was Cardhu Gold Reserve – Royal Lochnagar 12yo – The Singleton of Glendullan Select – Dalwhinnie Winter’s Frost – Clynelish Reserve – Talisker Select Reserve – Oban Bay Reserve and ending with Lagavulin 9yo, in order of lightest to heaviest. Royal Lochnagar 12 was a crowd favourite but die hard peat lovers swore by the Lagavulin and Oban. It was truly a night full of laughters, hearty meals and whiskies to kill for. Afterwards, guests are welcome to mingle again in the foyer area and have more of the Night King’s Sour. Have a look through the photos from the event, to see some new and familiar faces in the society, as they discuss which of these whiskies was the one to sit on the iron throne and rule all of Westeros.